I am sure almost everyone would have heard about Quikr. It is an online portal where you can sell your used items or new items at their most worthy price and buyers too could buy things at reasonable prices. It is a perfect destination for both buyers and sellers. 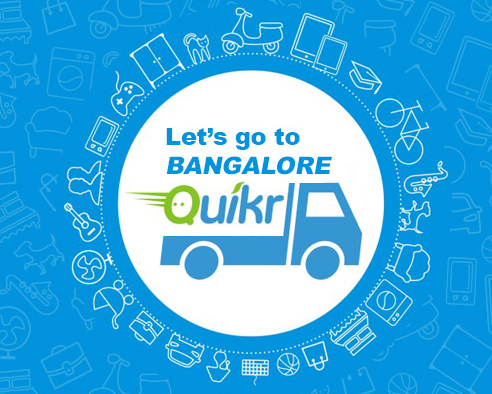 Indiblogger and Quikr have come up with a new contest with the theme that if you were relocating to Bangalore how would you use Quikr Bangalore to your advantage. The moment I opened the Quikr Bangalore page I was floored with the options available. From electronics to home decor everything was available under one roof - All at reasonable prices. The process of buying is also simple. Just click Reply, enter your message, phone no. and email address and click submit. You will get a response from the seller and fix the deal. You can also call to the phone number of the seller - all simple and easy at the comfort of your home. 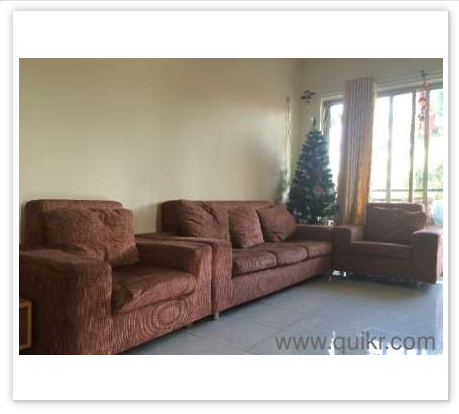 If I would ever relocate to Bangalore, I would surely browse at Quikr Bangalore to purchase items at reasonable prices. The things I would select would be a good air conditioner, inverter and some furniture which would be of immediate use. With this in mind, I opened the electronics page. The moment I clicked at the air conditioner tab, there were 219 results showing up. I just could not believe my eyes with the choices that I had. 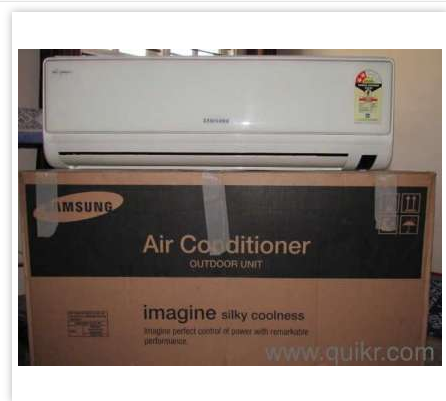 I selected this Samsung1.5 ton Split Ac priced at Rs. 15000 that has been used for just 8 months. 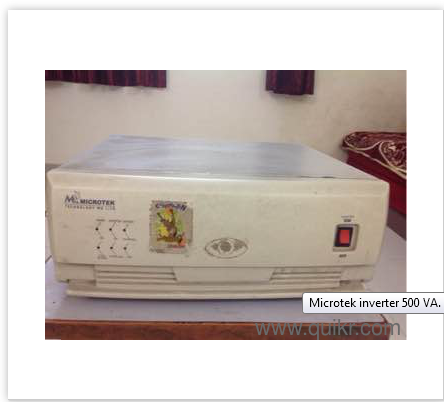 My next selection would be a microtek inverter which has been rarely used. It was reasonably priced at Rs. 2500, looked in good condition and was perfect for a 2BHK home. The seller was selling it only because generator facility was available at their home. The next stop would be furniture. 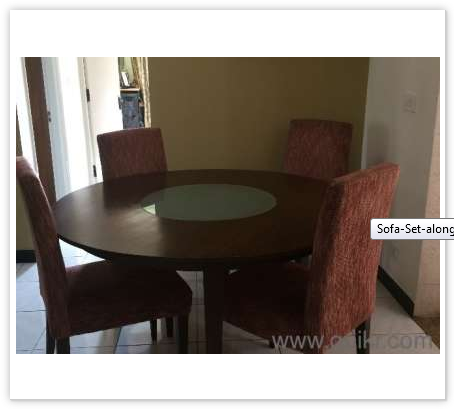 I selected this beautiful 3 seater sofa set with two single seaters and a matching circular dining table with 4 chairs. It was priced at Rs. 35000 which I think is reasonable. The next choice would be to buy a good bed for the bed room. 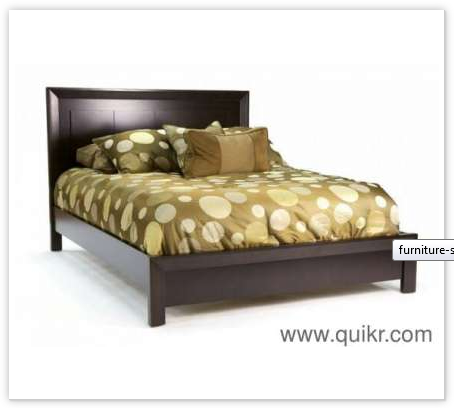 This simple and elegant queen size double bed without storage caught my eye. It is brand new reasonably priced at Rs. 12500 has a 5 year warranty, colour options and free home delivery. What more can I ask for? It completely fits the bill and there is also the choice of ordering 2 or 3 door wardrobes from the same company. My quest for finding the most appropriate items rests at Quikr Bangalore. Relocating to Bangalore or for that matter any other city would be easy for everyone as Quikr has all in one roof. I selected an air conditioner, inverter, bed, sofa set and dining table all amounting to a total of Rs. 65000 which I think is true value for money. Quikr is surely a perfect match maker between a buyer and a seller.